Home Sailing Programme Joining WSC Learn to sail Visiting Clubs & Groups Sailing for the Disabled Committee Contacts Location & Accom. Wimbleball Sailing Club is a friendly family club open to all, providing dinghy sailing, racing and RYA sail training. The club is located at Wimbleball Lake, a large reservoir of 385 acres on the east side of the Exmoor national park, a short drive from Minehead, Tiverton, Taunton and Wellington. October - April Sunday 10am to 4pm. The Club organises racing every Sunday throughout the year with generally 2 races in the winter and 3 in the summer. The races start at 11:30am. Wimbleball Sailability exist for the purpose of giving those with a disability the chance to experience going afloat in a small boat. 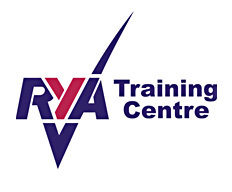 On this 'Open Day' on Saturday 11th May 2019, we will have experienced sailors on hand ,ready to help you start this journey.For more details click this link. Sailability Open. NOTE:- WSC membership year runs from 1st March to the end of February the following year. If you have not renewed your subscription for the current year please contact the membership secretary at 'membership@wimbleballsc.org.uk'. See newsletter in the 'members area' for more.